Therapeutic nuclear medicine (NM) in Bangladesh began in the early 1980s with the application of radioactive iodine for treatment of thyroid cancer and primary hyperthyroidism. Since then, NM practice has remarkably developed in the country with the advancement of instrumentation, radiopharmacy, and information technology. The government took the initiative to establish four PET-CT centers at different NM centers, including one at the National Institute of Nuclear Medicine and Allied Sciences (NINMAS). A further development is the installation of a cyclotron center (18-MeV cyclotron) at NINMAS by the government’s fund. Currently, NM is providing good health services to oncology patients throughout the country. More than 20 NM centers are functioning in different parts of the country, and therapeutic NM has an important place. However, conventional radioactive iodine still remains the major theranostic application. The expansion and development of therapeutic NM for other cancers have been limited due to a number of challenging factors. A brief overview of the history and current status of NM in Bangladesh is presented here with an examination of factors that pose as obstacles to the introduction and development of new therapeutic technologies. Finally, future perspectives are discussed with ways to mitigate existing problems and challenges. The authors would like to thank the Thyroid Division of NINMAS and all Institutes of Nuclear Medicine and Allied Sciences (INMASes) under BAEC. Shamim MF Begum, Lutfun Nisa, and Azmal K. Sarker declare that they have no conflict of interest. There is no source of funding. 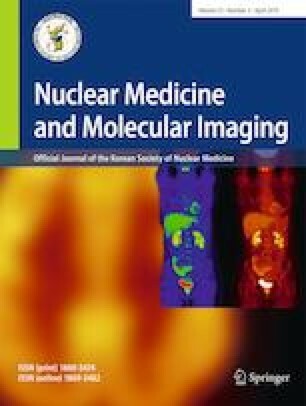 This is a perspective article describing the summation information on the basis of retrospective data from different nuclear medicine institutes. Data were obtained with the consent of the institutes. Institutional basic data contain human participant involvement in accordance with the ethical standards of the institutional research committee and with the 1964 Helsinki declaration and its later amendments or comparable ethical standards. Informed consent was obtained from all individual participants during collection of the basic data in individual institute. Fatima Begum. 2016. THE GURDIAN: nuclear medicine and allied sciences in Bangladesh: past, present and future.http://www.theguardianbd.com/nuclear-medicine-and-allied-sciences-in-bangladesh-past-present-and-future. Accessed 15 Oct 2018. Bashar R. 2017. Bangladesh proposes eight new nuclear medicine centres across country. Available at http://www.nuclearasia.com/.Accessed 15 Oct 2018.